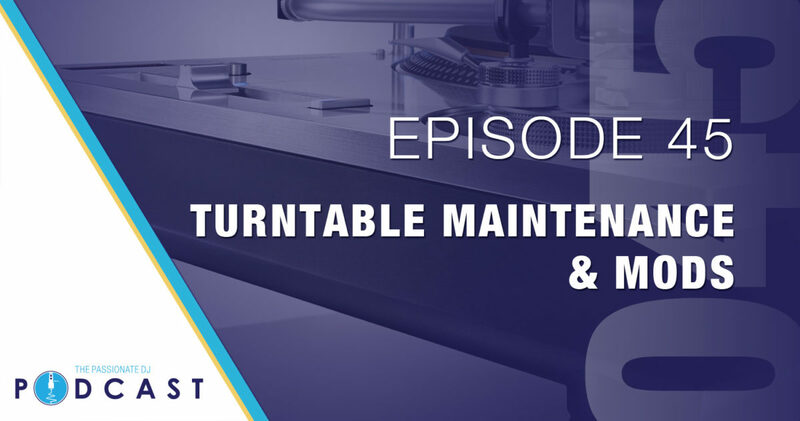 In this week’s episode, Trip gives us a once over on proper care, maintenance, and modification of the original weapon of choice for DJ’s since the 1970’s: The Technic SL1200 Turntable. In this episode, we focus mainly on the MK2 model. There is plenty of overlap with other models, but there are also a lot of differences, so be sure of the differences between your model and the MK2 before trying ANY of this at home. That said, here’s our disclaimer: WE ARE NOT RESPONSIBLE FOR ANYTHING YOU DO TO YOUR EQUIPMENT. We have done our best to provide accurate information, but at the end of the day, anything you do to your own equipment is your responsibility. Proceed with caution, and if there’s ANY question, please seek out a certified electronics technician to assist you. That said, we cover the bases in this episode: cleaning, tonearm & cartridge calibration, tips on taking the deck apart, adjusting the pitch and brake, and mods…such as painting vs powder coating, removing the “zero click” from the pitch fader, internal grounding, swapping RCA leads, and LED replacements! For a great walk-through of how to take a Technic turntable apart from start to finish, see the video below. Also, click here for a great FAQ on the SL1200.